Skegness United travelled to Sutton Rovers in the knowledge that it would be one of their most difficult fixtures of the season - and so it proved as they went down 2-0. Although Sutton where in the lower reaches of Division Two, they had only played three league matches before this meeting. United made only one change from the previous week with Rhys Mansell taking the place of Alex Kendrick. The visitors controlled the early stages of the match and their first shot on target came from John Courtney after five minutes. On 10 minutes Sutton had their first chance when Jack Minor had to be quick of his line to smoother the ball. A minute later United went on the attack and Ryan O’Loughlin picked up a loose ball around 20 yards out, however his shot was just wide of the goal. On 16 minutes a Sutton corner was headed clear from the United goalline. Although United had the majority of the play it was the home side who took the lead on 25 minutes. A flowing move resulted in the ball finding a Sutton player out on the right who cut in and fired wide of Minor into the corner. Just to show what sort of day it was going to be for United, a minute later the Sutton goalkeeper hit his own defender in clearing, and the ball rolled inches past the post. Then a half chance came Sutton’s way, however the shot was wide of the post. With half time approaching United were in double figures on the corner count, but had only been able to get their head to one of them, and then it was wide of the target. At the half time whistle United went in one down, however, on the balance of play, they may have felt they should have been on level terms. The second half started as the first with United on the attack, but they could not open up the home defence to make a clear chance. With the game entering the final quarter the home side were looking to be the next side to score. They had a couple of chances, but good covering by the United defence prevented Sutton increasing their lead. On 75 minutes United produced one of their best moves of the match when good interplay between Courtney and Zak Bray resulted in the former getting behind the Sutton defence and rounding the keeper, but then his shot hit the side netting. With seven minutes to go Sutton went 2-0 up with the best shot of the match. 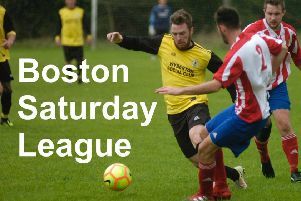 The ball ran loose around 25 yards from the United goal and the Sutton sub fired in a rising shot into the top corner. Having used their three substitutes United played the last five minutes with 10 minutes due to Arron Gray leaving the field with a face injury. The match ended with the three points going to Sutton. United had produced very few chances in the game and this was mainly due to the excellent defensive work from Sutton. UNITED: J. Minor, Lyall, Reid (Rayner-Mistry), Mansell, Simpson, Gray, Courtney, Minor, Grainger (Bray), O’Loughlin, Hodson (Turner). On Saturday United are away at North Somercotes Reserves (KO 2pm). United will be looking to complete their first double of the season having beaten Somercotes 4–2 four weeks ago.